The Activated Carbon impregnated bag filter, can be utilised to remove the slight general odours associated with towns and cities. 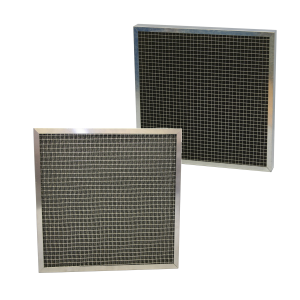 When the filter is used in the extract systems of light duty catering establishments, such as coffee shops, the life of it will be very short, as the odour retention is directly proportional to the weight of activated carbon on the product. 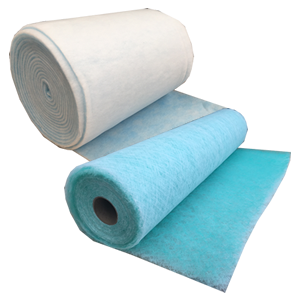 The fully cured coating of the activated carbon powder on the polyester non woven filter material is formed into pockets which are stitched and tagged to minimise blinding from each other. The formed pockets are supported by a copper coated rod assembly which with the media is sealed into the corrosion resistant galvanised steel header frame.